Christmas crowns are the perfect decoration for the Christmas table. We offer you the possibility to order your crowns to decorate your table, your chimney, your entry door. It will be delivered along with you fir branches! Our crowns are simple ones, with 30 cm of diameter length . It is up to you to decorate them with candles, snow or ribbons! You can also put them along with your mistletoe or holly branches.. 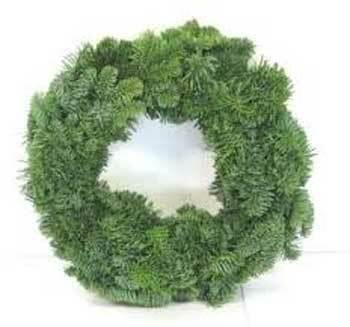 Attention: All of our Christmas accessories are sold with fir branches.